January | 2014 | shenANNIEgans! The Chargers and The End. In the NFL, it shuts quickly and coldly. Players hugged each other tonight in the locker room, proud of one another, brothers in the fight. They may have lost to the Broncos in the divisional playoff game (and it stinks, and they will tell you it stinks, and nothing makes it not stink) but they also love one another and know they were in it, together, until the end. In the morning, players will head to Chargers Park and listen to head coach Mike McCoy one more time. Then they will clean out their lockers, and in bags and boxes, will take the memories of a season. 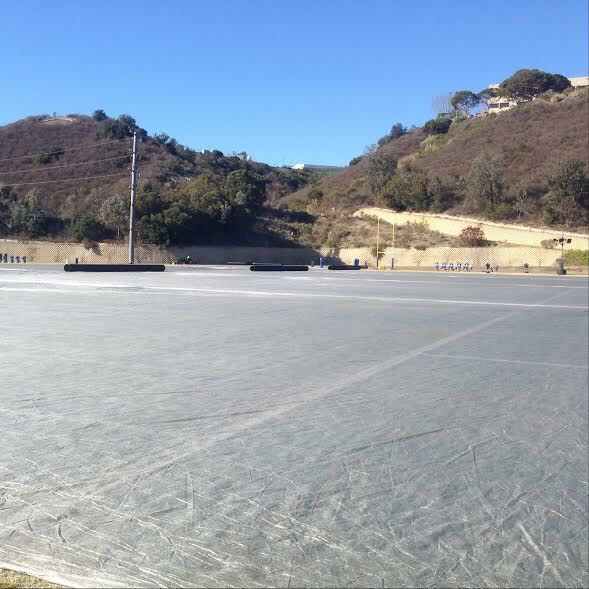 The field will remain covered up and posters will be ripped down and hugs will be exchanged and pages will turn. So many players told me, tonight, that this was the best team they’ve ever played on. Danny Woodhead said it. King Dunlap said it. This was the best group of guys they’ve ever been around, the most fun they’ve ever had in a season. It’s a credit to the older guys — Weddle, Rivers, Johnson, Hardwick and the like — for the standard they set, the tone they bring to the organization. They aren’t about flash. They come in, they work hard, they want to win, they love one another and they don’t care what the outside thinks. I don’t know where I’ll be at this time next year, so it could be that this particular “the end” resonated with me a little more than previous ones. I took a little longer to say goodbyes. I walked slowly through the hallways. I closed my eyes and let the sounds of the stadium sink in. I appreciated the tiny moments that come with following a team for five seasons that are lost on the outside world. I took it in, like Antonio Gates and Philip Rivers and Jarret Johnson and Eric Weddle and guys who have been around awhile take it in. Because they know the team won’t look the same next year. You don’t know who will be back. You don’t know if you will be back. You just have this moment. Well said as always, Eric. Hopefully, it will be good enough. Chargers win wild card … Like, holy wow. 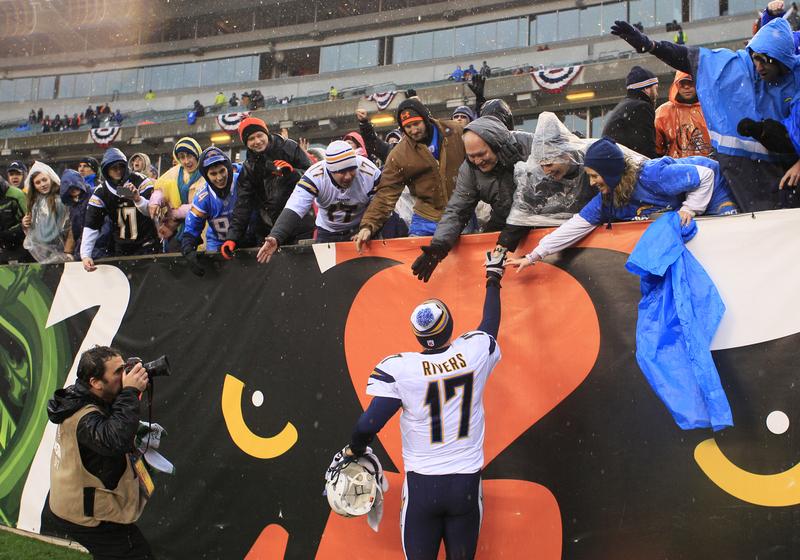 The Chargers are headed to Denver. For the first time since 2009, they made the playoffs. That was jaw-dropping enough after a rough start to the season. Now, San Diego is advancing. I watched a lot of TV this week and read many, many stories and I can tell you … NO ONE gave the Chargers a chance. National media counted them out time and time again. It’s understandable — the Chargers were inconsistent throughout the season, and although they won four straight to get to the playoffs, the final match-up against the Chiefs was NOT their best football. The old adage is true, though — It’s not how you get to the playoffs, it’s what you do when you’re there. And the Chargers delivered against the Bengals, winning 27-10 at Paul Brown Stadium in Cincinnati, silencing the critics who had said they didn’t deserve to be in the playoffs. Chargers defensive coordinator John Pagano told me last week that they were “playing with house money,” that players were loose and excited and happy for the opportunity. Young guys like Manti Te’o and Keenan Allen said they just had to settle in and not let the game get too big. The “underdog” status is one the Chargers are familiar with, and one they step up to at critical times. Honestly, it was fun at Chargers Park this week. It was like a whole new season had unfolded. The past was gone and with it, a huge sigh of relief. All that mattered now was moving forward. 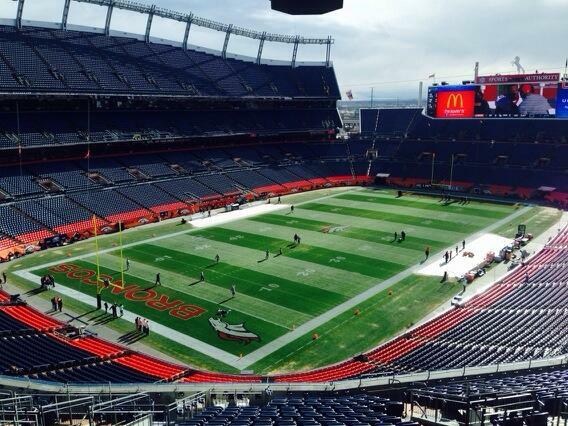 The Chargers head to Denver next Sunday for what will be a great divisional match-up against the Broncos.